Girl, get ready to get cosy and look cute in this romper. 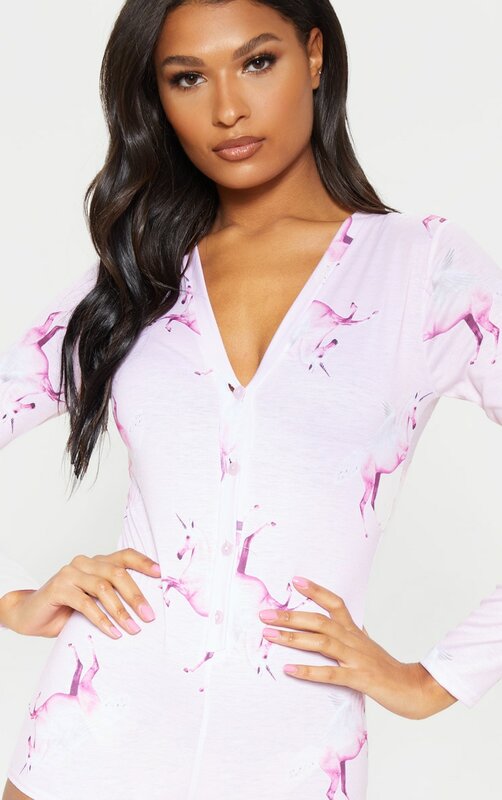 Featuring a pink PRETTYLITTLETHING unicorn print material, long sleeves and a button up front. Just add some fluffy socks to finish off the look.